Hello again! 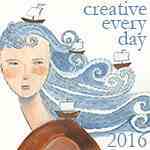 I hope you are all well and looking forward to another creative year. I know I am. I haven't managed to show you any of my crafty stuff over the last couple of years so I've signed up for Leah's Creative Every Day Challenge again this year- hopefully this will also remind me to post here a bit more often. I've also joined in with Heather's Crochet-A-Long which has started over at Keep Calm and Crochet on-UK. I didn't really want to buy any new yarn for this project as the plan is to use up leftover yarn from old projects, but I really don't think I will have enough yarn to finish it. We're still on the first part of the CAL though, so I have plenty of time to obsess over my dwindling stash and to raid the wool shop when I run out. Like many people, I had Part 1 (a series of 10 granny squares) crocheted up within a couple of days. My colour choice was heavily influenced by the stripy cardigan EC is making and because I'd been thinking about things to crochet for Valentine's Day. Can you tell?! I decided to do each of the five rounds in a different colour and each square alike as I had a lot of very small balls of yarn to use. 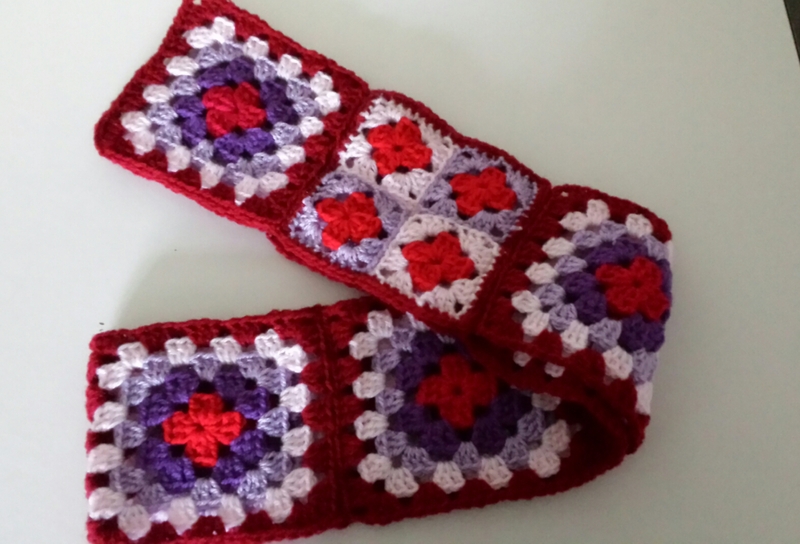 I ran out of purple before I finished all ten of the squares so made a four-square granny using the remaining four colours, which looks OK.